You can’t beat free, right? Right now, and for the rest of the weekend, “Twilight Tales” is FREE. If you haven’t read it then it’s a great time to pick it up. Inside are three short stories. A lonely stretch of road, and a scarecrow is the only witness to a senseless crime. But the scarecrow doesn’t understand human pain and suffering. A man obsessed with flames and light wants to wrap himself in the sun. And maybe he’ll get his chance. Two women fight to abolish an ancient evil in the depths of the necropolis. The last story, Necropolis, is the inspiration for “Forgotten Ones“, which is also half price until the end of next week. Forgotten Ones tells more about the goddesses of Fate and their struggle to keep balance between the unseen world of gods and goddesses, and the humans who now inhabit the earth. 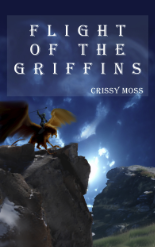 This is a contemporary fantasy book along the lines of “Supernatural” or “Grimm”, so if you like them you might like this. Everything is on sale! 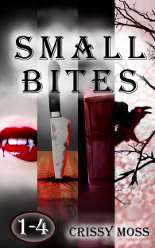 Short stories are 99 cents, and Novellas are $2.99. If you’d like to get one, now is you’re chance! Amazon has their new Countdown, so I’m trying it this weekend. If you have read it, and haven’t written a review, I would absolutely love one. I am only a couple away from ten. As for NaNoWriMo, I am finally starting to get into the swing of things with it. I started in a funk, trying to get through things, and forcing myself to sit down at the computer. Sometime over the last couple days I finally found a rhythm and realized.. i like this story. I like where it’s going, and I can write it. I think last night was the break through when I decided how it was going to end. The pieces started falling together, finally, and I was able to write several chapters. I have a better feel for the characters now, and can see where they are all coming from. It’s made the writing so much easier, and I wrote nearly 2000 words today without even thinking about it. I am much more confident about this becoming a full novel. It’s already 20k words in, and I have so much more to write. Sale price of 99 cents this weekend. Catch the start of the epic fantasy series, “Eversword Saga”, and how it all began. Duty, honor, romance, and war. It goes back up to 2.99 after this weekend.